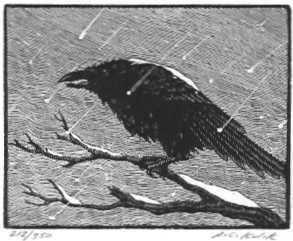 You have reached the home of A.C.Kulik's virtual gallery of hand cut and printed, limited edition wood engravings. The menu on the left will enable you to visit different parts of the gallery. Here you can learn about wood engravings, me and my work and visit the different areas where you may view and even purchase my work. Please enjoy your stay.